First day in Istanbul at the Blue Mosque. Photo courtesy of Sarah Sung ’15. Sitting back in a classroom on Columbia’s campus, it’s nice to think how only two weeks ago a group of us were cutting across Istanbul as we headed from one meeting to the next. We recently presented our findings and recommendations that we will soon be incorporating into a paper to share with the stakeholders we met during our week in Istanbul. It was not only an exciting opportunity to have visited the city and meet with these business leaders, but even more exciting to know that we also have the chance to potentially help shape the future of Turkey’s startup ecosystem through our recommendations. The government is clearly doing a lot in a top-down approach to incentivize greater activity in this space including providing tax-free funding for VCs raising capital, and funding for universities to create incubators and teknoparks. While these are all great initiatives, there seems to be a lack of understanding the effectiveness of these programs.Moreover, after speaking to deserving entrepreneurs, many do not qualify for the government programs and find them to be only great on paper and not beneficial. To initially address this issue, many of us believe that the government should use metrics to assess what programs actually have impact and have created successful startups. 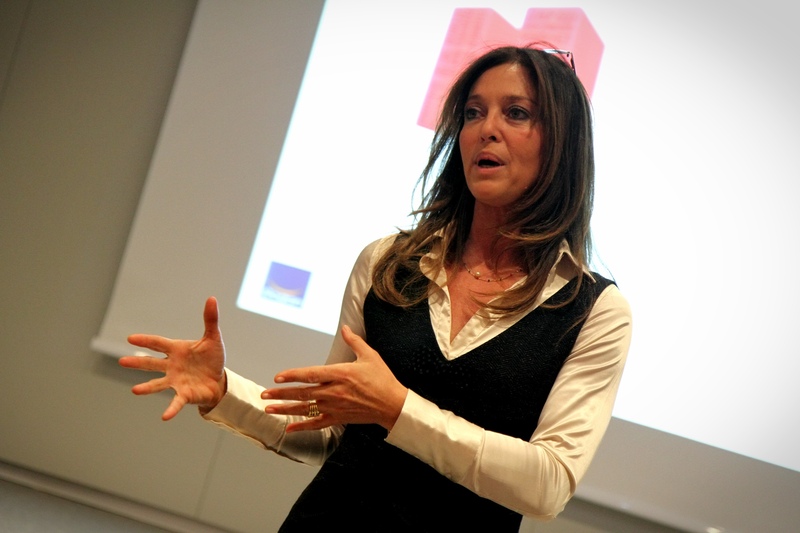 There needs to be more women in entrepreneurship. We learned a staggering statistic that only 10% of the country’s entrepreneurs are women. From both speaking to women entrepreneurs and research, women feel like they face additional hurdles because of a cultural resistance to women in the workforce. One recommendation is to encourage more women at a younger age to learn STEM subjects. Another would be to teach entrepreneurship to girls (and boys) in high school so that everyone has an opportunity to develop these skills at younger age. Taxis are notorious for scamming tourists. The most common trick is for the customer to hand over a 50 TL bill and the driver switches it to a 5 TL bill and says you paid a 5TL. Clearly count your money and remember what bills you used when you hand it over to the driver. We also saw cab drivers with rigged meters, but you should always ask your driver to turn on the meter when you get into the car. If you feel like you have been scammed, take a picture of the taxi’s license plate and report it to the police. While you may not get your money back, the police will go after these taxi gangs and help prevent future tourists from being scammed. Definitely go get a fish sandwich underneath the Galata Bridge! They cook the fish and make the sandwiches on the boats and serve them for 6 TL each. You will NOT regret it! Turkish bath is a MUST do, but know that you will become very close friends with the people you go with! If Chocolate Puma ever performs again at Angelique, do not even think twice…JUST GO! If you have any recommendations for Turkey’s startup ecosystem or if you have traveled to Istanbul before and want to share tips, feel free to do so in the comments section! Thanks to Professor Jack McGourty and a big thanks to our classmate Saruhan and his wife, Seda, for making this a memorable highlight in our CBS experience! 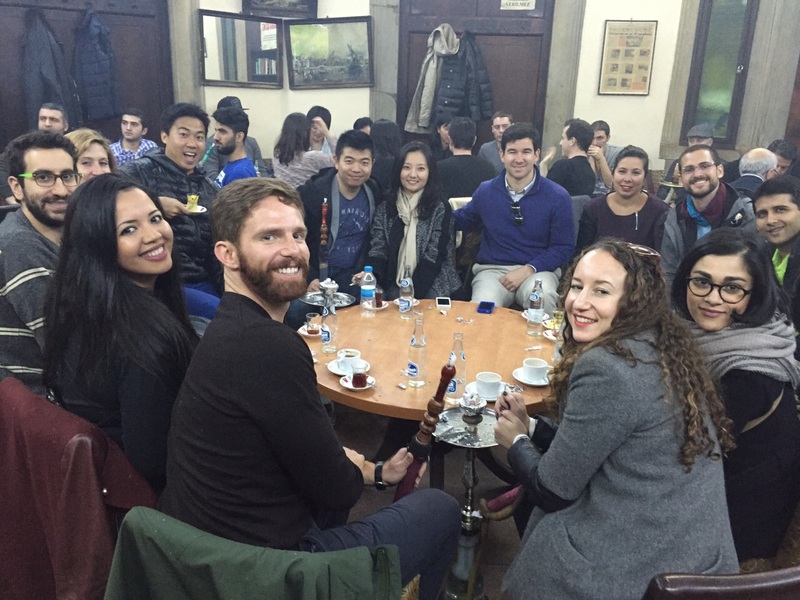 A favorite hangout spot and pastime for locals…hookah! Enjoying the fish sandwiches under the Galata Bridge. 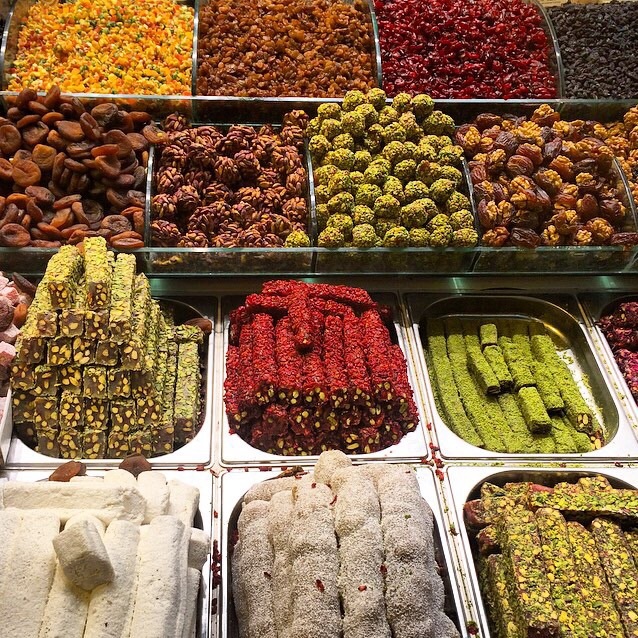 Getting some Turkish Delights to bring home as souvenirs at the Spice Bazaar. Enjoying the view with a CBS alumnus at Turkven. Catching a boat ride to dinner at a restaurant on its own island. 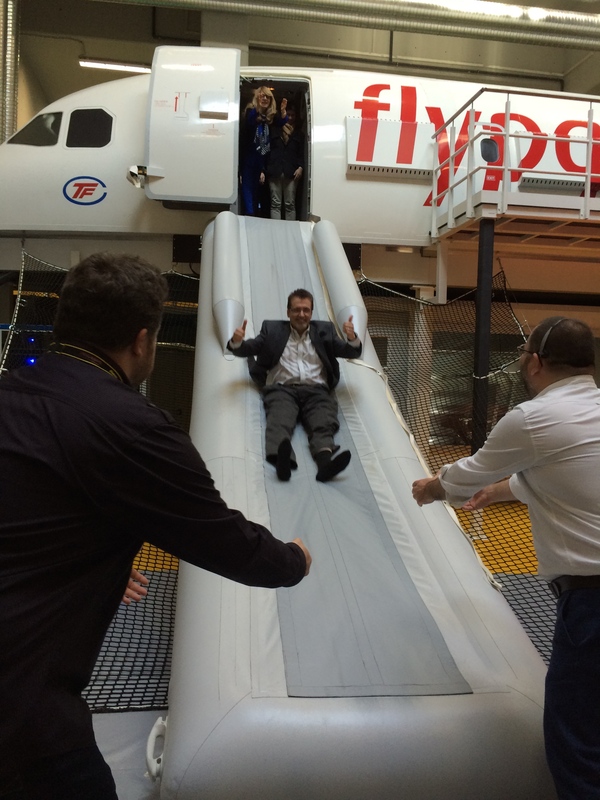 Learning all about safety at successful airline startup, Pegasus! Photo courtesy of Nabila Ahmed ’15. 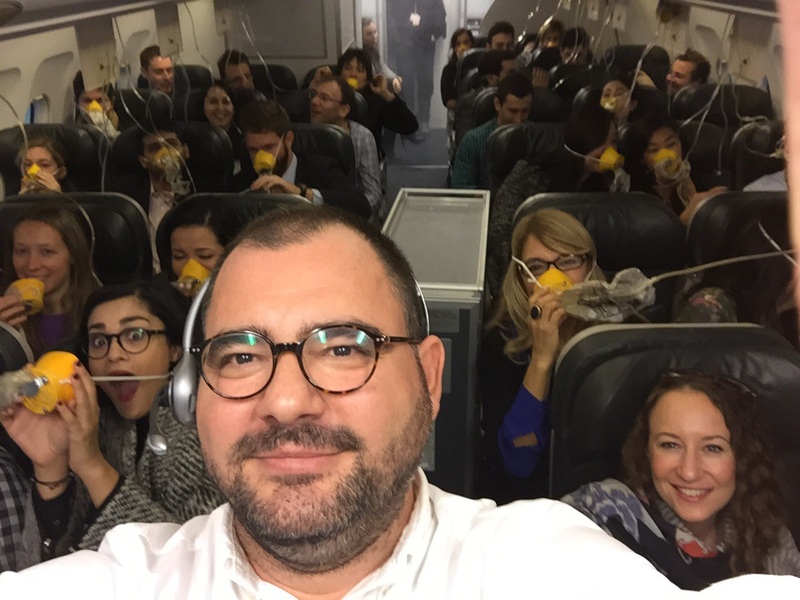 If things are to go wrong, how to evacuate. 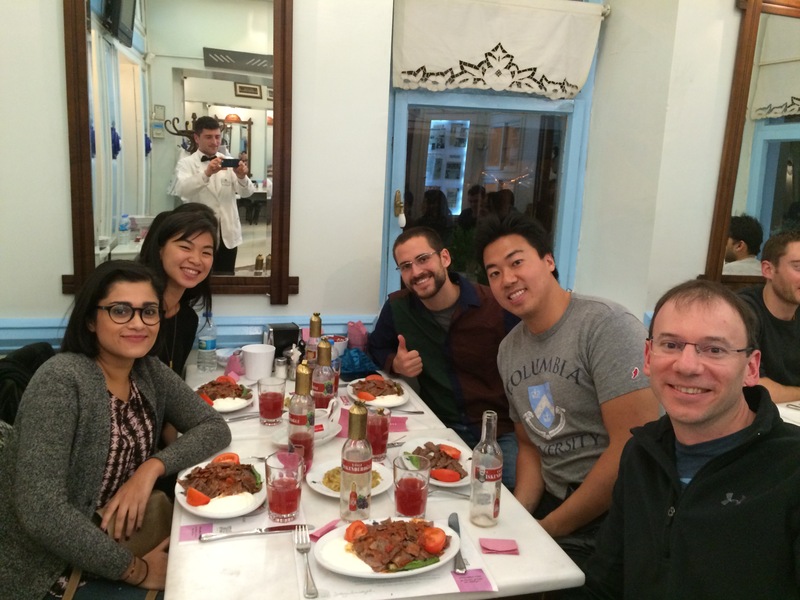 Enjoying a favorite local dish, İskender kebap. 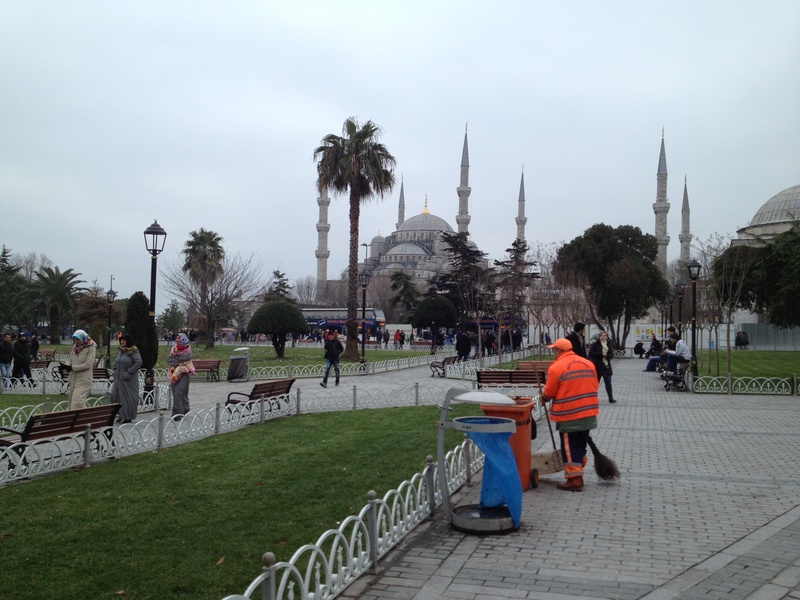 Getting ready for a meeting at the Columbia Global Center – Turkey. 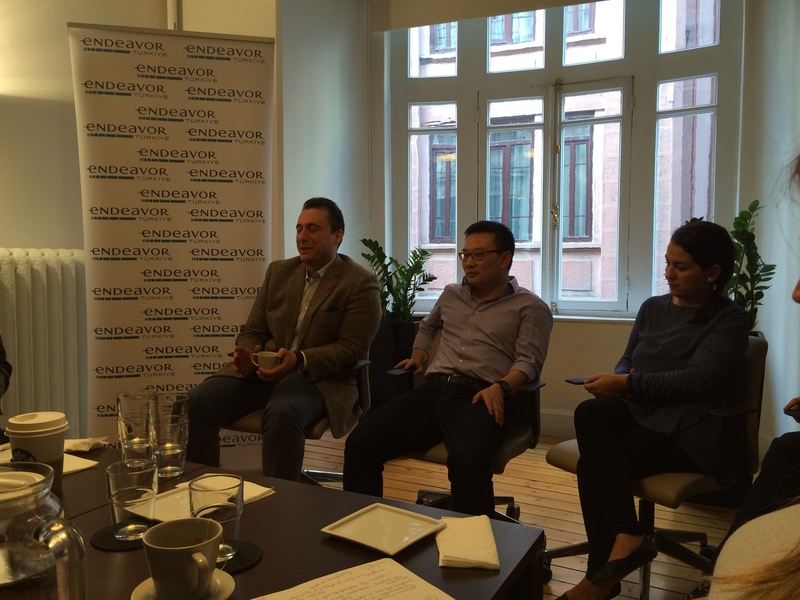 A panel of entrepreneurs organized by Endeavor. 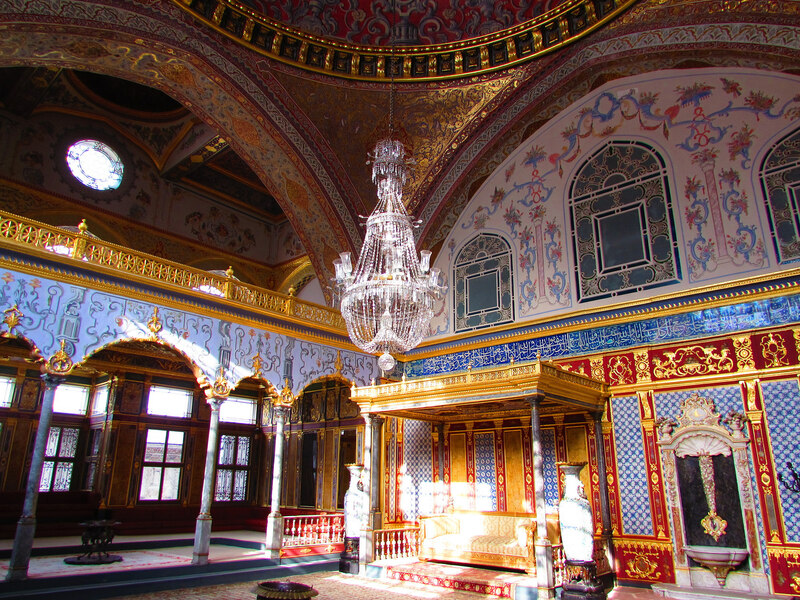 Beautifully preserved Topkapi Palace is a must see! Photo courtesy of Sarah Sung ’15. Celebrating a successful week at our reception dinner with our local tour guide. 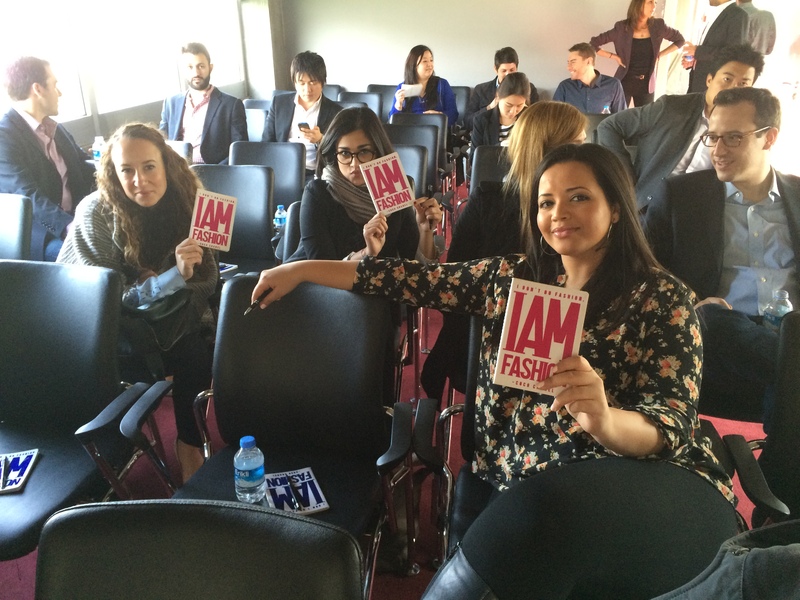 Some fashionable CBS students waiting to hear the presentation by ecommerce Markafoni. An issue that I am personally interested in is increasing the number of women in the startup ecosystem, specifically as a woman entrepreneur and investor. The lack of women in these areas is considered a systemic challenge in the United States. There are countless articles, academic research, and personal anecdotes that support the need for more women entrepreneurs and VCs. So it was definitely interesting to explore this issue in Turkey’s ecosystem. During our week’s worth of meetings with various stakeholders, we discovered that the same issue exists in Turkey, but with some notable differences. While more still needs to be done in the U.S., at least this is a recognized issue…by the majority of sane Americans. On the other hand, the discussion about needing more women in startups is often glossed over. We don’t even have good entrepreneurs, so why would we consider the lack of women in entrepreneurship a problem? This was a frank response to a question I asked a Turkish VC about what percentage of their deal flow comes from women founded startups given the government funding that has gone to support women entrepreneurs. Though I understand the immature stage at which the Turkish startup ecosystem is at the moment, I had hoped that the Turkey could begin addressing and taking more action around this challenge so that it would not develop into the same situation that the U.S. currently is in. Diving deeper into the underlying causes of this, what exists in Turkey is a cultural mindset about women in general. A few months ago, President Recep Tayyip Erdogan spoke at an international conference on justice and rights for women where he stated that men and women cannot be placed on equal footing. Furthermore, Turkey ranks 125th out of 142 countries on gender equality as assessed by the World Economic Forum in 2014. Clearly the lack of women in the Turkish startup ecosystem stems from much larger issues bout the perception of women in the country. But things, as we saw, are slowly changing. When we spoke to a CBS alumna at a well-regarded consulting firm, she mentioned that the women in the workplace are very ambitious and she had not faced any challenges. We also met a woman entrepreneur who founded a VC backed startup on our last day. She was positive about more women in startups as she is constantly asked to provide mentorship to other women entrepreneurs. There is a lot to be positive about when there are such incredible role models for others! 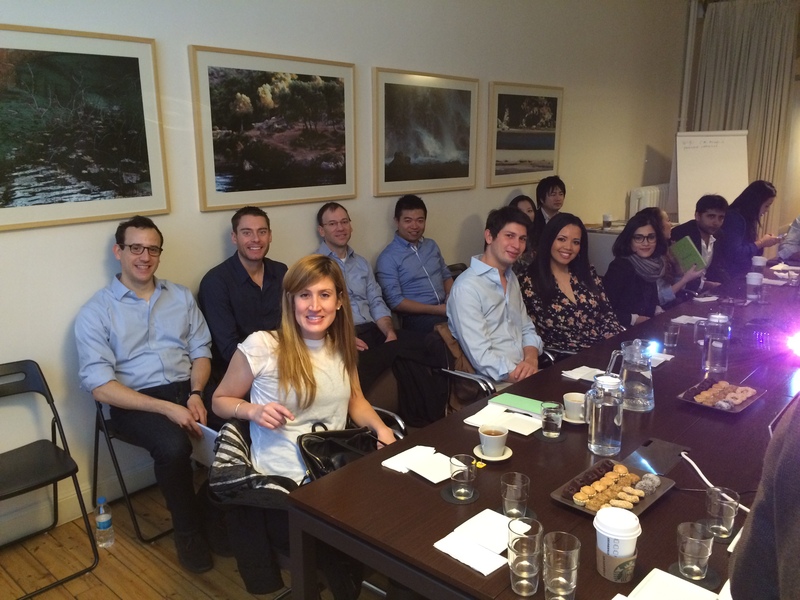 It’s officially Day 2 of our Global Immersion in Istanbul and our group of 40 has done so much already! Many of us arrived a day early and had the opportunity to tour the city. While catching up on each other’s winter break stories, we walked through ancient structures that date back as far as 500 AD. 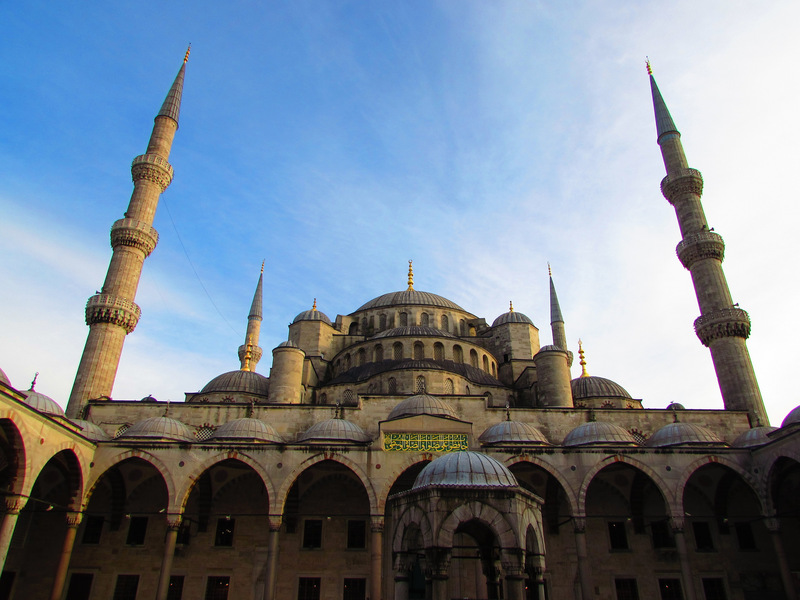 Our group looked up in awe at the magnificent domes covered with intricate blue and gold painted tiles in the Sultan Ahmed Mosque, or more commonly known as the Blue Mosque. Not to be overlooked, the Hagia Sophia stands directly across the Blue Mosque to create the most visited area in the Old City. Standing between these two iconic sites, I couldn’t help but wonder, how did people back then build all of this? The admiration extended into the first official day of our program. Boston Consulting Group welcomed us into its Istanbul office and provided us with a very insightful overview of Turkey’s current economic situation. 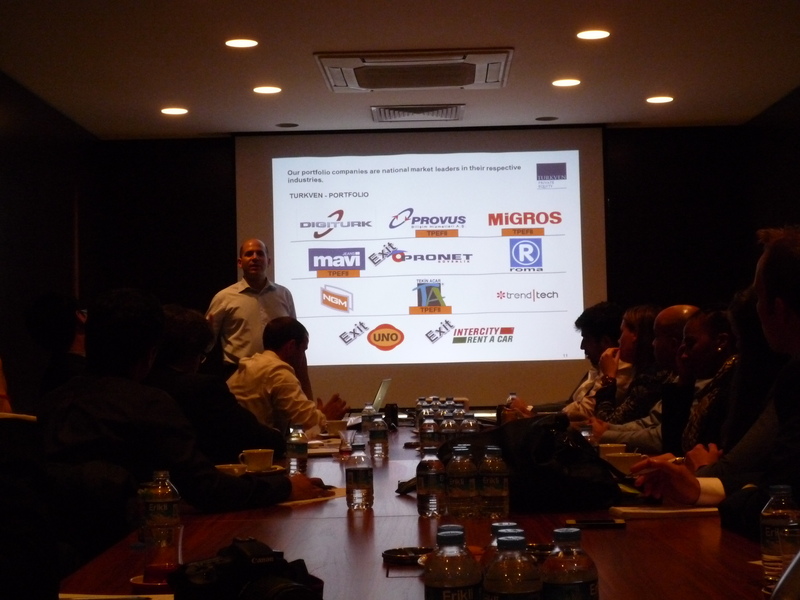 We were then whisked away to Fit Startup Factory, one of the first startup incubators in Turkey. As we learned more about the resources made available to entrepreneurs in the last few years, it was incredible to hear how much Turkey has changed. Yet at the same time, Turkey still seems to have a lot of catching up to do. From the discussions in our meetings, the biggest hurdle facing entrepreneurship in Turkey is the people’s mindset that stems from an older generation. Parents have instilled in their children an aversion to taking on the risks of starting their own companies; rather children are encouraged to find a stable corporate job in which they have a predictable salary. This sentiment was reinforced when we spoke to entrepreneurs at Boğaziçi University’s incubator today. It will be interesting to see what else we will learn as we continue to explore and analyze the startup scene in Istanbul in the coming days. Oh, but don’t worry, we will of course enjoy as much as the city has to offer in true CBS fashion. 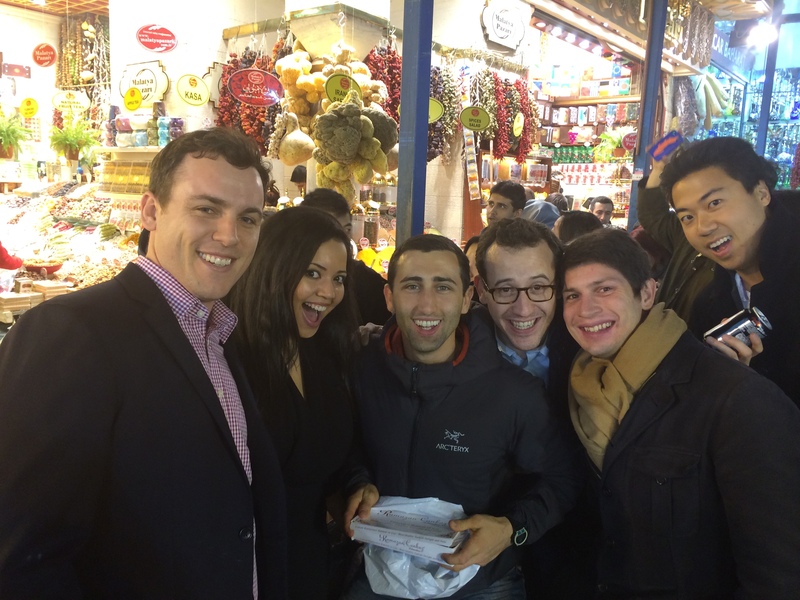 Follow our journey at #GIPTurkey and other amazing CBS Chazen trips on #cbschazentravel on social media! 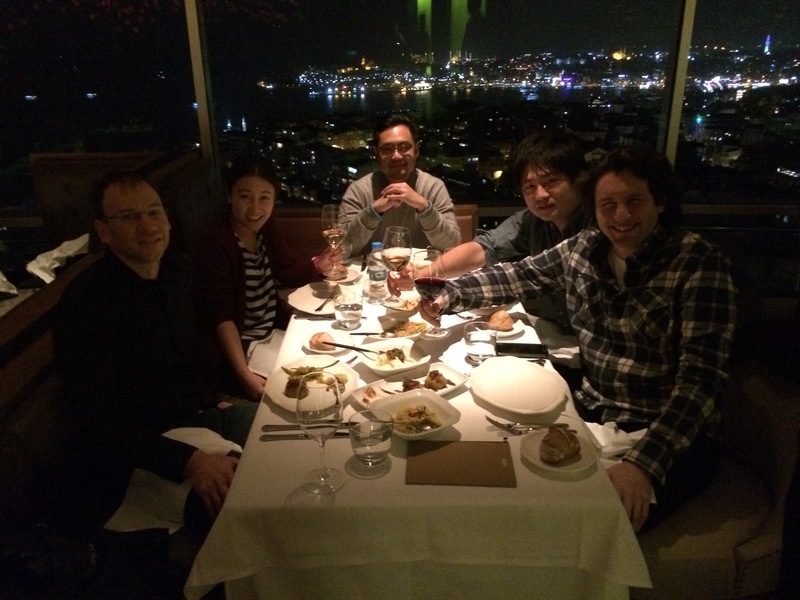 Starting 2015 with Startups in Turkey! 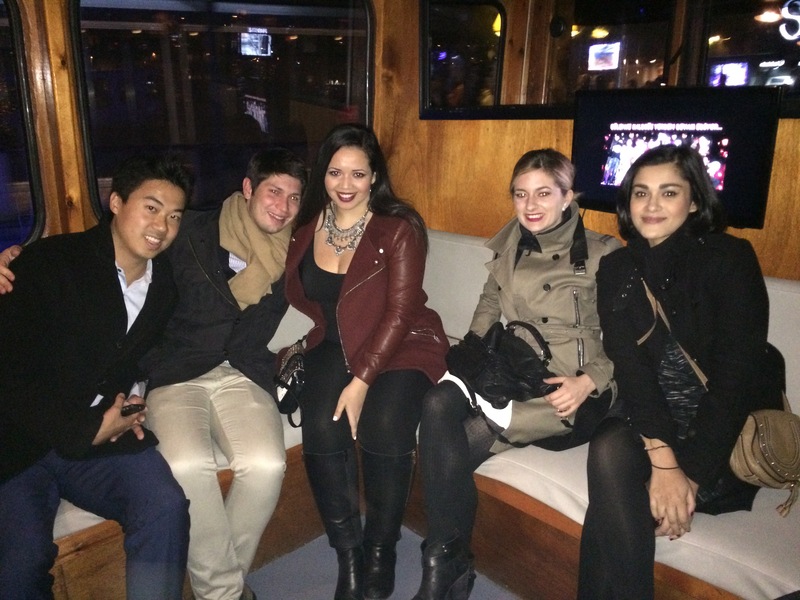 I love traveling to explore new cultures and meet new people. This is probably typical of most MBA students (and evident from this blog). As a co-founder of a startup, the co-president of Lions Lab, which is the Columbia Business School student accelerator, and an investment partner on Dorm Room Fund, I am also passionate about startups. 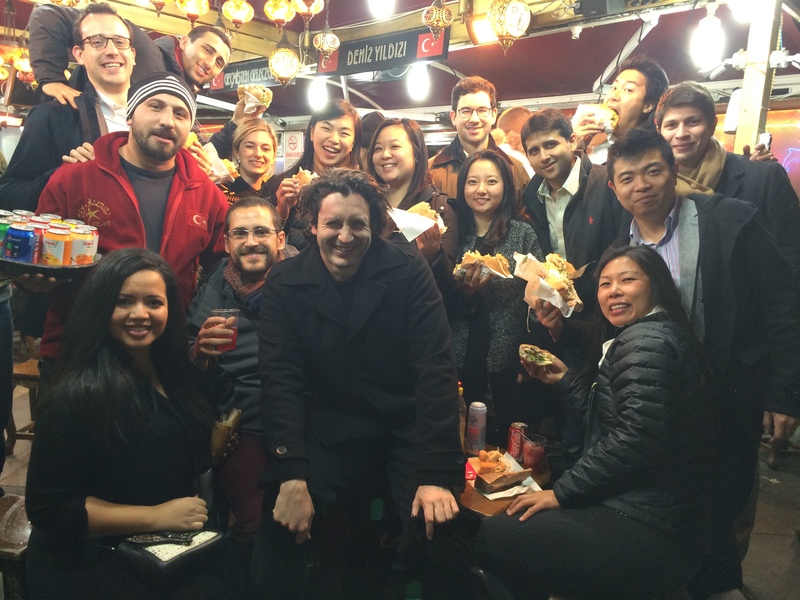 This is why I enrolled in Global Immersion: Exploring Turkey’s Startup Culture. When thinking about a startup culture in a country, there are many factors to consider. In my travels and meetings with entrepreneurs around the world, there is always a local element that makes each country, even city different. But what has been consistently the same is the growth and energy for startups around the world. Even last week, when I was in Hong Kong, I saw signs around the business district for a recently passed venture forum called startmeup.hk. I also met with two entrepreneurs who told me about the new government and corporate initiatives to support startups, such as the Blueprint accelerator and co-working space hosted by Swire, one of the largest corporations in Hong Kong. This makes me even more excited for Istanbul in a few weeks. 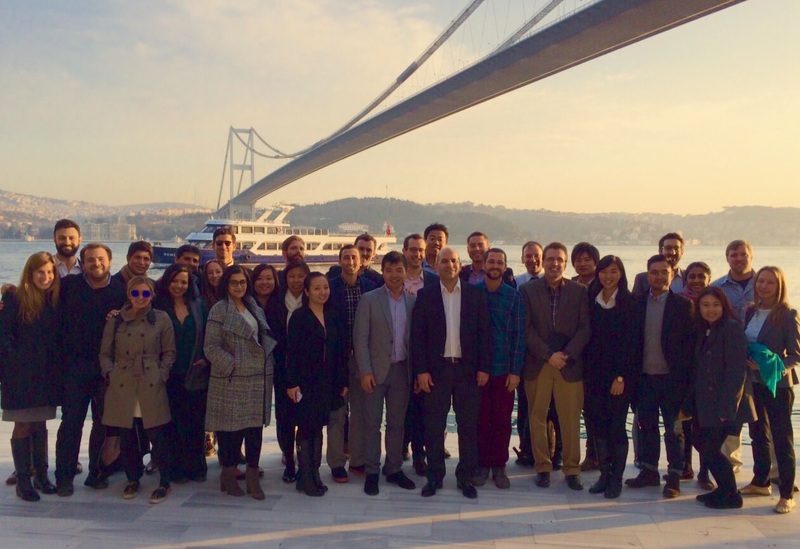 During our six week classroom component of the course that leads up to our visit, we explored how in the past few years, Turkey’s startup scene has grown and evolved. For example, this past November, the government supported a financial initiative to encourage more women entrepreneurs in Turkey. In the course, we were reminded to take into account each country’s differences and how this influences its startup culture. We used a framework that analyzes a country’s human capital, R&D, financial capital, industrial base, physical infrastructure, legal/government policies, quality of life and support networks. The framework allowed us to dive deeper into country specific issues. One such issue that resonated with me is Turkey’s position at the cross-section between Europe and the Middle East and how it has shaped its politics. Our Turkish classmates mentioned to us that a few years ago, the popular sentiment was to join the European Union, but now it has shifted to align more with the Middle East. If I were an entrepreneur in Turkey, these political changes are important to keep in mind when I think about which market I would want to develop for and where to expand. And as an investor, there would be different risks associated with each situation that I would need to consider. I know my fellow classmates and I are looking forward to discussing these and many other issues with stakeholders on our visit to Istanbul starting on January 18th. Stay tuned for updates during our trip! Turkey and Europe: Reject or Be Rejected? One of Turkey’s overriding goals has been an entry into the European Union. In fact, the country’s Prime Minister Tayyip Erdogan was so keen on aligning the country with the Western norms that he aggressively tackled a number of thorny issues like minority and women’s rights since coming into the office in 2002. His efforts were often in the spotlight, while the rest of the world pondered whether Europe would let a country of 80 million Muslims join the club. Turks have soured on the idea of joining a sinking European Union. The potential impact of the economic and political tie to Europe was an issue discussed during every single company visit on our trip. While individual opinions may have differed, it was clear that the on-going sovereign debt crisis, which has brought Europe to its knees, made Turkey re-consider its options. At least within the business circles, Turks have soured on the idea of joining the EU. The Arab Spring has created new opportunities for Turkey to wield its power in the region, and many are asking the arduous question: Should Turkey reject Europe before being rejected? As the lure of joining the EU is fading, Turkey is increasingly looking East instead of West, embracing its Muslim identity along the way. Foreign Relations Director at MUSIAD, a religiously conservative business group of 20,000 companies that is close to the prime minister, told our group about his recent trip to Tunisia and Morocco. Turkish manufacturing and construction companies are vying for government contracts and new business partnerships in that part of the world. MUSIAD often finds itself in the role of a “middle man,” connecting the right companies with one another. The demand for the Turkish know-how in road building and residential construction is high in Tunisia and Morocco, and is only expected to grow. CEO of Abdi Ibrahim, a pharmaceutical company in Istanbul, said the firm has recently acquired the majority stake in Kazakhstan’s Global Pharm. She emphasized that Central Asia, along with other former Soviet states, was a growing market for them with ripe opportunities that won’t be found anywhere in Europe. Needless to say that almost half of Kazakhstan’s population is Muslim. Meanwhile, Turkey’s membership talks have stalled, and recent public opinion polls indicate that the country’s ambition to connect itself to sinking Europe is waning. Selim Kender, a graduate of Columbia Business School and Principal at TurkVen, discusses the private equity firm’s portfolio companies. Selim Kender, Principal at TurkVen, welcomes us at the offices of the private equity firm in Ortaköy. White marble steps lead down to a contemporary two-story mansion, the back end of which opens to a seaview terrace. The views of the Bosphorus are arresting and postcard-worthy. Inside, a team of 17 professionals make multimillion investment decisions. The understated design of the office, with its dark wood paneling in the main conference room, gives it a feel of opulence and grace. Selim joined TurkVen over six years ago, having previously worked at Fortis Bank and Finansbank in Istanbul. He is a graduate of Columbia Business School. Working at a private equity fund can be like having to kiss a lot of frogs to find a prince, says Selim. He shows some numbers to prove his point. TurkVen started by screening over 2,000 companies. And after a rigorous process to find the best investment fit the firm ended up with 17 deals. Almost all of TurkVen’s latest deals were buyouts, with the firm acquiring up to 51% equity. While TurkVen manages only $1.5 billion in assets, today it is the largest shop in Turkey. Its portfolio assets include supermarket chain Migros Türk TAS; pizza chain Domino’s Pizza Restaurantlari AS; satellite TV provider Digiturk; and cosmetics retailer Tekin Acar, which Selim calls a Turkish Sephora. In 2006, TPG Capital and local partner Actera Group concocted a $810 million purchase of Mey Içki San. ve Tic. AS, Turkey’s largest producer of raki. Five years later, Britain’s Diageo bought the Turkish distiller from TPG for $2.1 billion. The splashy exit generated a gain of more than 400%, and that’s what put Turkey onto the global PE map. Today, all the big private equity players like KKR and Abraaj Capital show heightened interest in Turkey, says Selim. 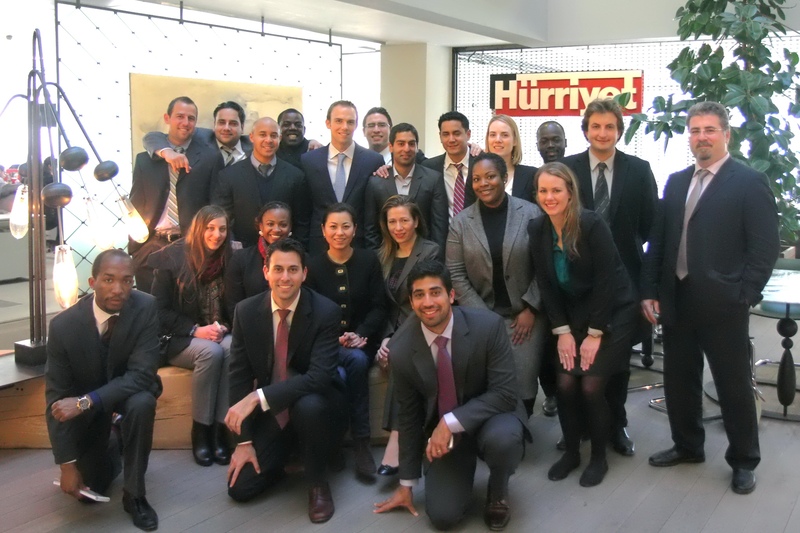 Columbia Business School students visit the office of Hürriyet in Istanbul. Tijen Mergen, a marketing executive at Hürriyet, talks about recent shifts in the Turkish media landscape. Our visit to Hürriyet starts with a brief welcome reception in the main atrium of the company’s headquarters in Istanbul. Modern art pieces, including paintings, posters and sculptures, give the office the Google vibe. There is no trace of cubicles, and everything feels young and fun. After the reception our group is invited to an auditorium, where Tijen Mergen, a marketing executive at Hürriyet, and Bulent Mumay, a Web Coordinator, tell us about Hürriyet Dünyası, or the World of Hurriyet. The media company’s flagship publication is a newspaper by the same name. The daily covers domestic and international news, sports, arts and culture, and features opinion pieces from leading Turkish journalists and social influencers. Following the latest media trends, Hürriyet has been aggressively expanding its online presence. The web edition of the newspaper features video reports and user-generated content like Twitpic images. Mr. Mumay, who leads the digital team, tells us about a recent success during the coverage of a bomb attack in Izmir in August of 2012. The web edition of the newspaper broke the story by publishing the very first image of the blast’s aftermath that the editors were able to find through Twitter. Hürriyet is owned by Doğan Holding which today ranks among Turkey’s top three conglomerates. Doğan is active in six business areas, among which media and energy get a special attention. In addition to Hürriyet, Doğan has a joint ownership with Time Warner of CNN Türk. After the presentation, we are invited for lunch at Hürriyet’s cafeteria. Mr. Mumay and a few other executives are able to join us, so the conversation about Turkey’s media continues.